Felicia Frazier, Managing Partner at Odelson Sterk, Ltd.
Felicia was nominated by her boss who described Felicia as a person filled with laughter and kindness, but a fierce advocate for her clients. She has risen to the top of her firm, from secretary to managing partner, and exhibits all characteristics of a top female leader. For women in the legal community, she said she would like to see more women helping others, leaving no women behind. Debby Nahrstadt, Managing Counsel at BP. Debby was nominated by her husband, who she met during her first year of law school. He described Debby as intelligent, persistent, and caring. Debby described leadership as using your voice to do the right thing in a way that impacts and influences others; you do not have to be a leader to demonstrate leadership. Nancy Paridy, SVP, Chief Administrative Officer of the Shirley Ryan Ability Lab. Nancy was described by her nominator as essential to the opening of the Shirley Ryan Ability Lab. Nancy believes that leadership means being passionate and exhibiting the ability to influence others, which includes learning how to communicate. She described life as a learning experience, that failure is really an opportunity to grow, and women must embrace everything that life has to offer. Cathy Reiter, Partner at Hughes Socol Piers Resnick Dym, Ltd.
Cathy was nominated by Jill Webb, a respected Chicago female attorney, who described Cathy has smart, classy, and inspirational. Cathy’s advice to become a leader was to help younger people along and to be generous with your time; if your work is interesting and you work hard, it will be a wonderful career. 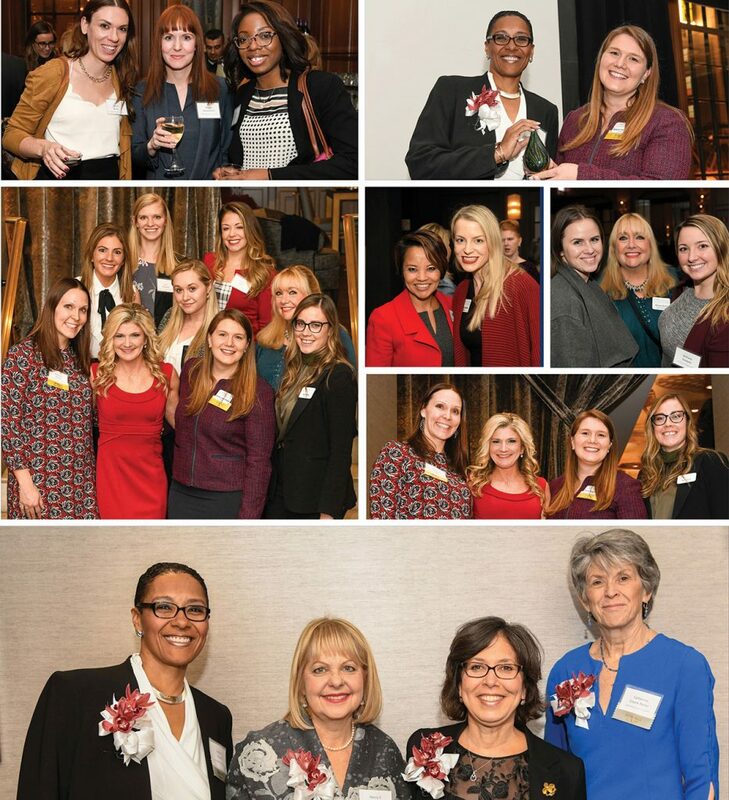 The 2018 Top Women Lawyers in Leadership reception was attended by many inspiring, accomplished, and supportive members of the WBAI including fellow attorneys, judges, clerks, and family members. 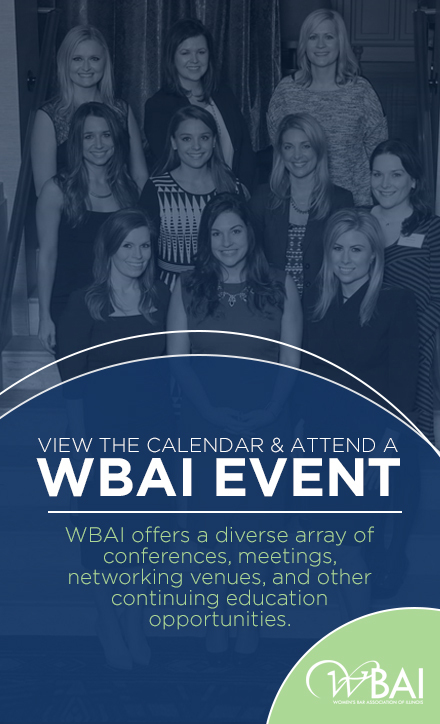 WBAI is proud to recognize these top female leaders and looks forward to their accomplishments for many years to come. Samantha Israel is the Women Everywhere liaison for the Illinois Women’s Bar Association. She is an attorney practicing nursing home litigation at The Law Offices of Steven J. Malman.